Are you looking for a summer activity that is not only entertaining for your children, but is something different from the usual lounging around the pool? If soccer, basketball, or baseball camps just aren’t your thing, then maybe you should try our Galaxy’s Edge Summer Camp. For sixteen straight years, Kick Masters Karate has hosted one of the most popular camps for elementary school students in the area. 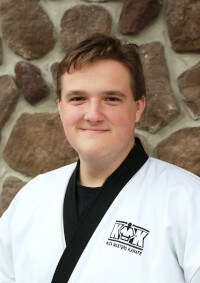 Armed with a traditional Tae Kwon Do base and years of experience, our Summer Camp features hands-on training in developing speed, coordination, agility, balance, and flexibility. But our Galaxy’s Edge Summer Camp isn’t just limited to developing the body. Camp Counselors will challenge campers with cutting-edge martial arts drills and games, while building self-esteem, character, and encouraging the indomitable spirit. Campers will inevitably develop self-control, focus, and respect, while becoming more confident and motivated. Participants also learn the value of teamwork and leadership, as our program is structured to bring out the best any child can exhibit. In fact, campers experience all-day themed fun while enjoying group demos, delicious snacks, weaponry, competitions, and of course, an energetic atmosphere. Themed skills and challenges happen all week, and culminate on "Parent's Day", when the entire family can witness the energy and entertainment ourGalaxy’s Edge Summer Camp delivers. This year Galaxy’s Edge Summer Camp will take place at the Kick Masters studio between the dates of June 17-21 and July 22-26. Camp is held between the hours of 9:00AM and 3:00PM, with morning snacks served at 11:00AM (campers are responsible for bringing their own packed lunch). Our Summer Camp is open to all children ages 7-12, even if they’re not a current student. The cost of camp is $199.00 per camper if paid in full before June 1st (early bird special), or $229.00 per camper after June 1st. With summer offering a more flexible schedule, why not enroll your children in a camp that will transform them into the leaders of their classrooms? Why not enroll them in a camp that will make them positive trend setters in their peer groups and physical standouts in the various other sports in which they may already be involved? Why not teach them the value of responsibility and commitment, while instilling honor and confidence? This summer make some new friends, and join us for a fun filled superhero adventure guaranteed to surpass your expectations. We’ll see you there! **Camp is open to a limited number of participants per session, so call (301) 689-8874 or send us an e-mail to reserve your spot before we’ve reach capacity. If you are interested but a specific camp session is already full, we can place you on a waiting list, and you'll be contacted if a spot opens. Families may register for both camps providing availability. Official Enrollment begins on Monday, April 15th at 4:00PM. Camping should be fun right? Well at this "camp," there are no rainy days, wild animals, or even pesky bugs. This is an action-packed Galaxy’s Edge Summer Camp, and let me tell you, this is an experience your child will never forget. Pre-schoolers experience half-day karate fun while enjoying age specific drills, creative snacks, new karate games, team building, exciting crafts, mat chats, and group activities. 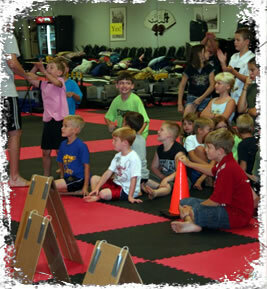 The Little Dragons Camp is extremely popular and fills up very, very quickly. Camp #1 is scheduled for July 16-19 and Camp #2 is scheduled for August 6-9 at the Kick Masters Karate studio. Camp is held between the hours of 9:00AM and 12:00 Noon, with morning snacks served around 10:30AM. Sessions are open to all children ages 4-7, even if they’re not a current student. Children may attend both sessions, however, it’s first come, first served on enrollment. The cost of each campis $109.00 per Little Dragon if paid in full before June 1st (early bird special), or $139.00 per Little Dragon after June 1st. Make this a summer to remember by trying out our Galaxy’s Edge Mini Camp. Your child can make some new friends, and join us for a fun -filled adventure guaranteed to surpass your expectations. We’ll see you there! mp is already full, we can place you on a waiting list, and you will be contacted if a spot opens. Families may register for more than one camp providing availability. Official Enrollment begins on Monday, April 15th at 4:00PM.